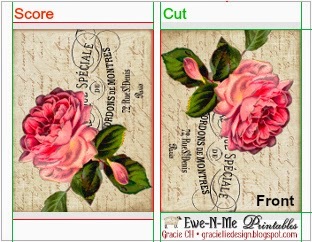 Hello and welcome to my first post as part of Ewe-N-Me Printables DT. 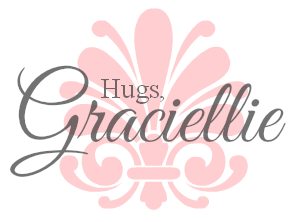 It’s nice to be here, sharing ideas that hopefully will help you maximize your printables. 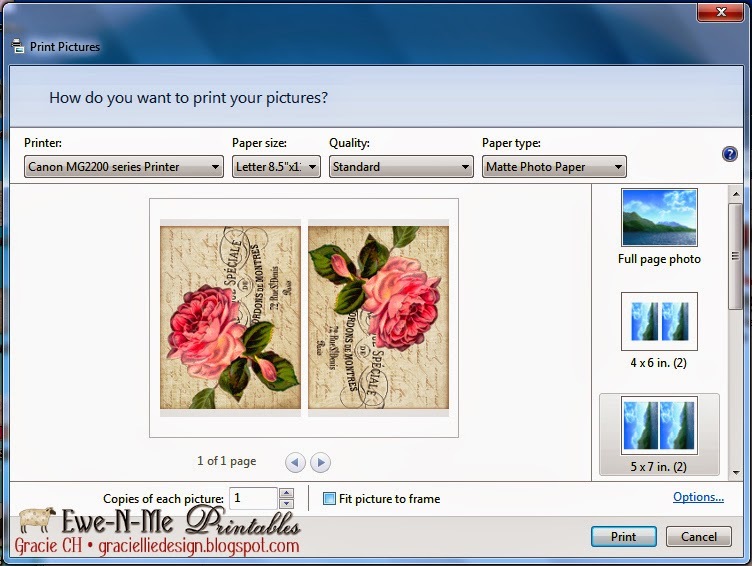 Digital products are vital now a days, because they simplify your paper crafts and allow you to customize your creations. And that is the case with today’s project. 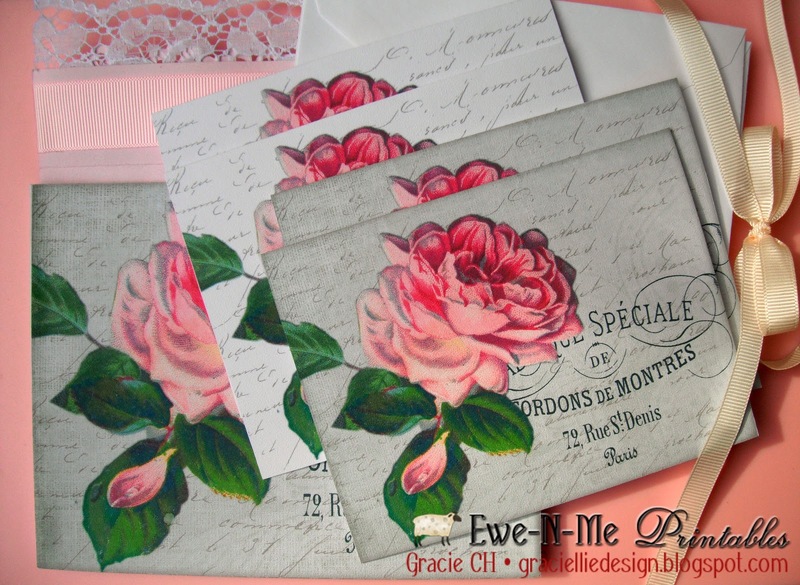 Using one of Ewe-N-Me’s French Country Prints, Pink Rose, I was able to create a card set and a matching box to hold it. 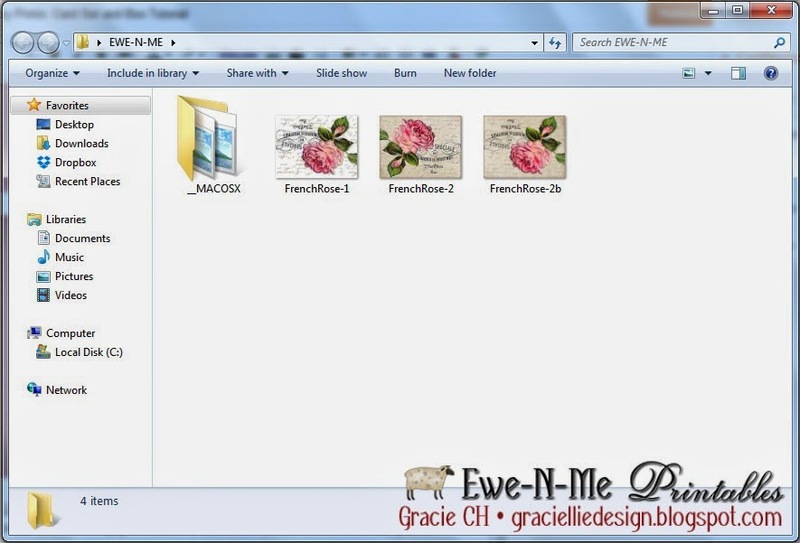 After you learn how to print the files, you’ll find it’s quite easy. So after I show you my project I’ll guide you with the basic printing instructions, so you can replicate what I made. This box is 5″x 6.5″x 2/8″ and the one layered cards that it contains are 5 2/8″x 4″. The basic materials I used were the images, white cardstock, a paper trimmer (with a score blade) and of course my printer. Then in order to print the structure of the box, you’ll need to select “FrenchRose-2” and “FrenchRose-2b”, right click and print. 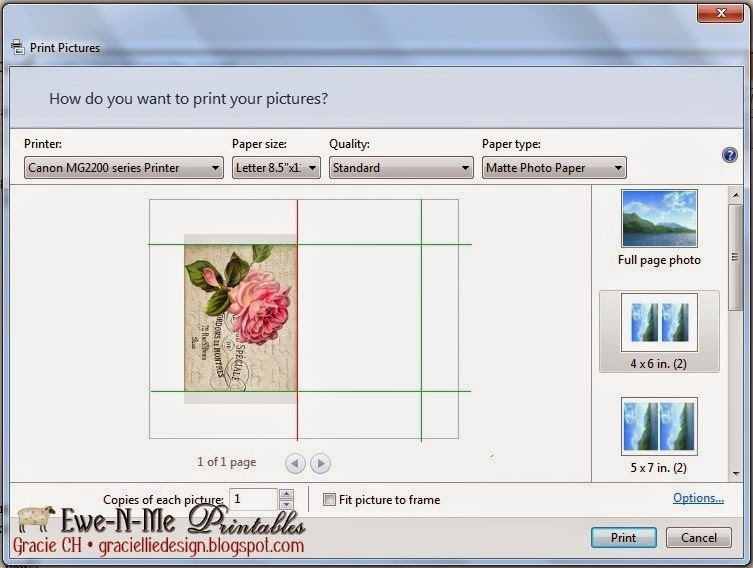 Once the printer’s window pops, it’s time to customize size and other aspects: Select size 5 x 7″, and unmark the “fit picture to frame” button (under the image). I printed my images in letter sized white cardstock. Now it’s time to score, cut and glue the box together. On the image below I marked in red the lines you should score and in green the ones you should cut. Once you’re done, you are left with two flaps on the side, already scored, that you have to fold towards the inside and glue to the front side of the print (which has no flaps as shown above). To finish the box you need to add a top flap. I used a 3″x 6 1/2″ piece of cardstock and attached it to the back of the box from the inside. 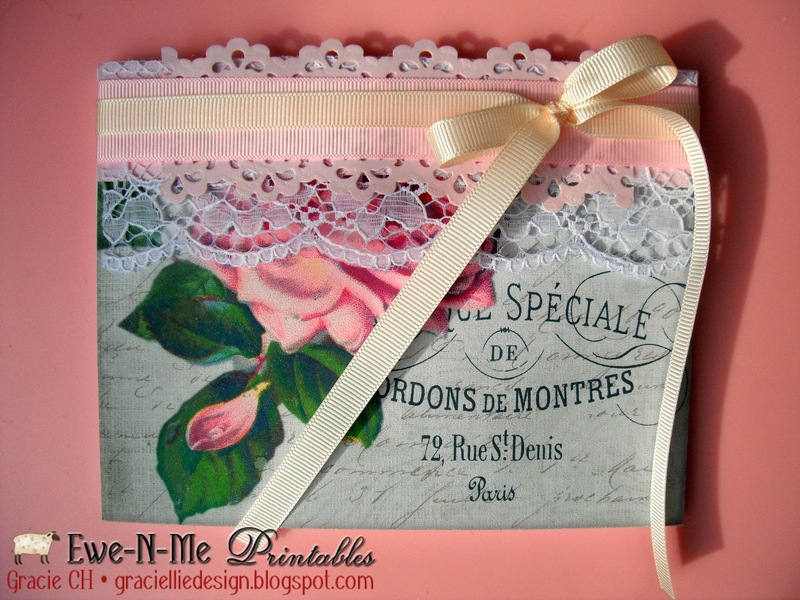 I embellished the flap with lace, die cut borders and ribbon to give the box a shabby chic feel. To print the cards, you will need to print the image rotated twice clockwise (upside down). Select size 4″ x 6″ and again unmark the “fit picture to frame” button. Once printed all you need to do is cut (shown below in green) and score and fold (shown below in red). I hope you like my project and that you find this tutorial useful. If you have any questions feel free to contact me. 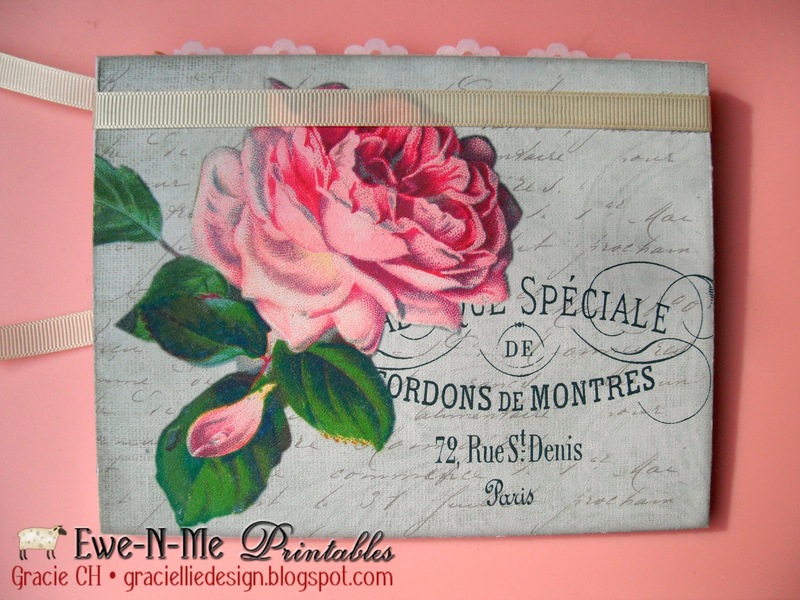 Don’t forget to check out Ewe-N-Me’s French Country Prints (here), you are going to love them! Thanks so much for stopping by! thanks for a wonderful tutorial..
You are so very welcome dear Laura! I'm glad you found it useful. Great tutorial, gorgeous set, love the print. Great job. So pretty and a wonderful tutorial! Thank you for joining us at THE PAPER SHELTER for our “Anything but a Card” challenge. Good luck and I hope we see more of your lovely work in our next challenge!